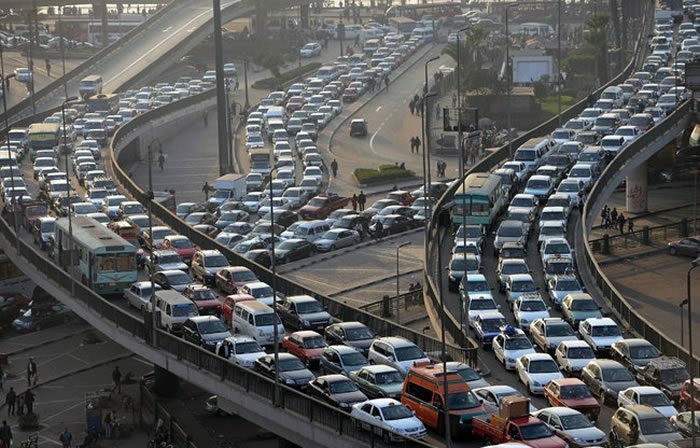 Egypt transport sector projects now totals $ 3.5 billion according to a report released by the Ministry of Transportation. The report indicated that the projects mainly focus on roads, railways and maritime transport. Transportation minister Ibrahim El- Demeiry in a statement said that the development of railway stations Desouk & Tal Al Kabir have been completed and 76 railway crossings on several governorates. He added that the ministry has been able to complete several projects in the construction of roads and bridges including the overlay of concrete on roads like Sidi Salem, Sidi Khamees, 85 km road linking Toshka and Arkin and Cairo and West Assiut. Initial part of the railway project that had been shelved for years is expected to be ready in 2017 with expectation of attracting investors and tourists in the country while at the same time the development of infrastructural structure will create both efficient and safe means of transportation. With the completion of the transport investment projects, Egypt stands to attract more investors looking to trade in Europe, Asia and Africa.